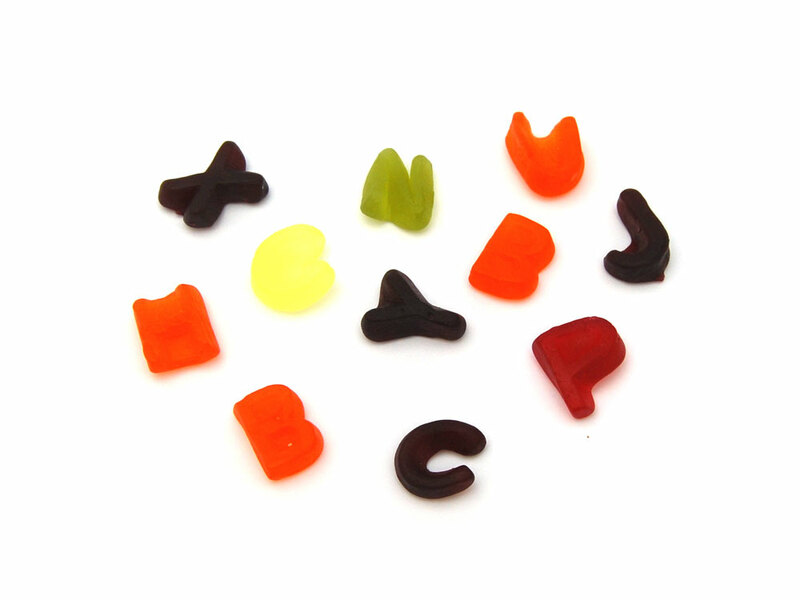 Mouth watering fruity letter shaped gums. These taste a lot like fruit gums but a bit softer. Perfect to get your message across to someone you are sweet on. 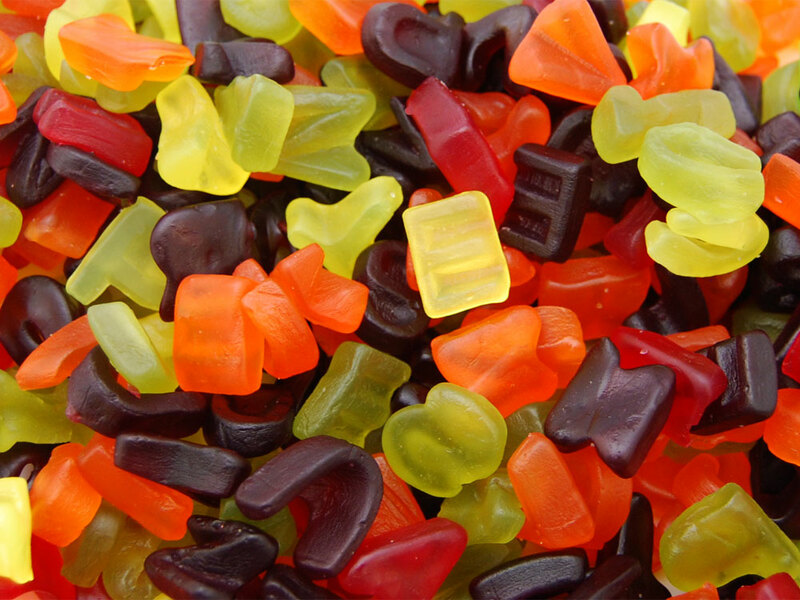 These multicoloured gums are simply scrummy. Sugar, Glucose Syrup, Modified Starches, Water, Acid, (Lactic Acid), Colours (Anthocyanins, Paprika Extract, Curcumin), Flavourings, Glazing Agent (Carnauba Wax). Allergen Advice: Highlighted Bold in Ingredients list. Suitable for Vegetarians. Natural Colours and Flavours.